In May 2016 alone, the Securities and Exchange Commission (“SEC”) paid approximately $10 million in whistleblower awards. These frequent and ever-increasing awards should serve as a stern notice to in-house counsel and compliance personnel alike that SEC whistleblower awards may continue to increase in both frequency and amount, proving costly for companies engaged in securities. For a long time, the False Claims Act (“FCA”) has served as a concern to those companies doing business with the government, as its whistleblower provisions provide rich incentives for employees and other insiders to go directly to the government with allegations of fraud. However, until the passage of the Sarbanes-Oxley Act (“SOX”) in 2002 and the Dodd-Frank Wall Street Reform and Consumer Protection Act (“Dodd-Frank”) in 2010, the SEC did not have a comparable program for reporting securities law violations and/or protecting individuals blowing the whistle. With the passage of Dodd-Frank, the SEC was authorized to create its own whistleblower protection program, SEC Office of the Whistleblower, which has gone on the offensive against reported securities violations, while at the same time issuing frequent and sizable SEC whistleblower awards. The SEC Office of the Whistleblower was designed to incentivize tips through the promise of both monetary awards and enhanced protections against retaliation. The SEC whistleblower program allows certain reporters of securities violations to obtain between 10% and 30% of the recovery obtained by the SEC when the monetary sanctions exceed $1 million. In order to be eligible for a SEC whistleblower award, the whistleblower must voluntarily provide unique and useful information that leads to a successful enforcement action for violations of securities laws, including financial fraud and corporate disclosures, offering fraud, insider trading, market manipulation, and the Foreign Corrupt Practices Act (“FCPA”). Finally, on May 20, 2016, the SEC announced that it was awarding $450,000 to two whistleblowers on the same grounds as the award issued on May 17th. The aforementioned SEC whistleblower awards announced in May represent half of the six whistleblower awards issued in 2016. The above cluster of awards should give pause to compliance officers and in-house legal counsel that are part of companies engaged in securities. This is true, because, these large, attention-grabbing payouts could provide the needed motivation an employee may need to bypass in-house counsel or other in-house programs and anonymously report potential securities violations directly to the government. In order to address those concerns, the SEC has stated that it will consider whether an employee first reported the concerns internally in deciding how much to award as part of any SEC whistleblower award, and will permit whistleblowers a 120 day “look back” priority to encourage internal reporting. Nonetheless, the enormous monetary incentives provided by recent SEC whistleblower awards remain, and will likely only bolster whistleblower efforts. When the recent SEC whistleblower awards are coupled with the specific language in the U.S. Department of Justice’s (“DOJ”) new FCPA Pilot Program, which limits credit for self-disclosure to companies that report “prior to an imminent threat of disclosure,” the recent award activity is an important reminder of why securities firms need to encourage employees to raise concerns internally, as well as have in place adequate procedures for quickly investigating and addressing those matters. In addition to the reporting provisions of Dodd-Frank, employers also need to be mindful of the anti-retaliation provisions under the Act. Under Dodd-Frank, an employer may not discharge, demote, suspend, threaten, harass, or take any other retaliatory action against an employee who reports a potential securities law violation. Dodd-Frank provides aggrieved employees with an automatic private right of action in federal court, which action allows the employee to seek reinstatement, double back pay, and attorneys’ fees and costs. Furthermore, the SEC recently issued an interpretative release in August of 2015, which clarified the SEC’s belief that a whistleblower need not be eligible to recover under the reporting provisions to be protected under the anti-retaliation provisions. The SEC’s interpretation was quickly followed by a Second Circuit Court of Appeals decision that held that internal whistleblowers, as opposed to those who report to the SEC, are also protected under the anti-retaliation provisions. While there remains some split of authority on that aspect of the anti-retaliation protections, the general trend seems to be towards protecting whistleblower activity, both internal and external. Denial of a promotion, an unjustified negative review, harassment, or “constructive discharge” can all run afoul of the anti-retaliation rules. With these robust protections under Dodd-Frank, it is increasingly important that employers take a measured, careful approach to dealing with whistleblowers. As a result, internal reports of securities law violations should be taken very seriously and should be given a thorough and expeditious investigation by outside counsel. Once an internal investigation is complete, it is generally best to report the company’s findings to the whistleblower so that he or she knows the company has addressed the issues and did not ignore the allegations. In cases where internal whistleblowers are notified of their employer’s investigation and findings, many potential whistleblowers may be less likely to go to the SEC. In order to protect the company, any genuine performance issues should be fully documented and addressed on a separate track from the whistleblower complaint to ensure—and document—impartiality. If you or someone you know has information regarding a possible securities law violation, please contact our whistleblower team today via email, kporter@chrisjen.com, or by phone, (801) 323-5000, regarding a possible consultation. 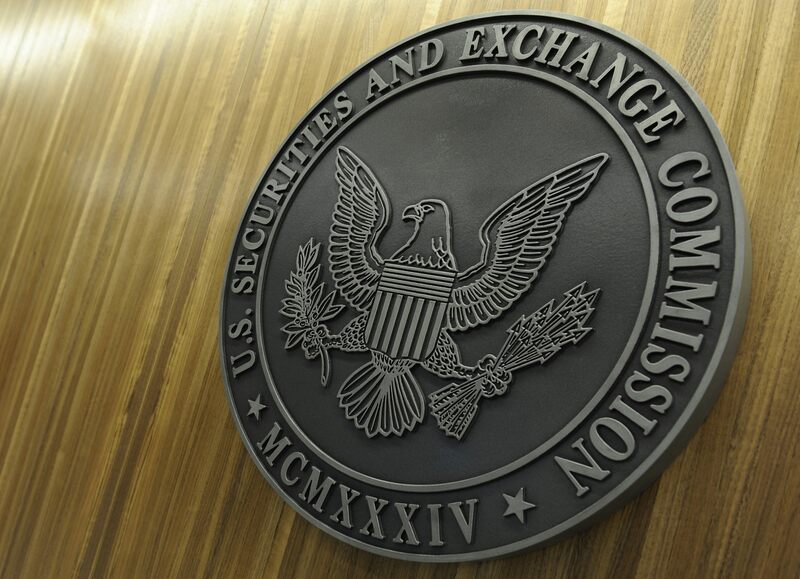 Given the fact that the SEC will take into account whether a whistleblower first reported the potential securities violations internally, as opposed to reporting them directly to the SEC, in determining the size of any award, it is important to consider how such securities violations should be reported.